Do you currently have a business or service that is being offered to your website? If so, you will likely have hundreds of emails coming into your inbox or sent right off your customer support on a daily basis with common questions that are usually already answered on your site. The reason for such madness is that people want answers and instant gratification without the need to search through your site. If this is something you deal with on a daily basis and are quite frustrated, you are not alone. With more than a billion active websites on the internet today, site visitors and customers simply do not have enough time or patience to try and look through a website to try and find answers or how to sign up for a service that you might be offering. Not only might this be putting a damper on your email and customer support, it could also be hurting your revenue and sales as well. One of the best ways to make sure your website gives your audience exactly what they want within the first few seconds of visiting is to actually provide them with an explainer or whiteboard video showing what the service is you offer, how it works, and how they can benefit from it. This method is currently being used but some of the top brands and businesses in the world today. Today we are going to look at not only some of the top services online for creating an explainer video for your site, but also the multi-step process you should take before even thinking about moving forward with the video creation process for your main page. Be sure to make some notes while walking through this process, as it will make the design and video script process that much easier. Before starting with the creation of your intro or explainer video, not only should you have a good understanding of what your audience is looking for, but also the best way to portray it to them in a short and effective manner. While you might know your business inside and out and think it’s quite simple, for your audience or new site visitors, it could be quite overwhelming or confusing. Be sure to think about the best way to portray your message to your audience while also making it visually appealing and easy to understand in the process. 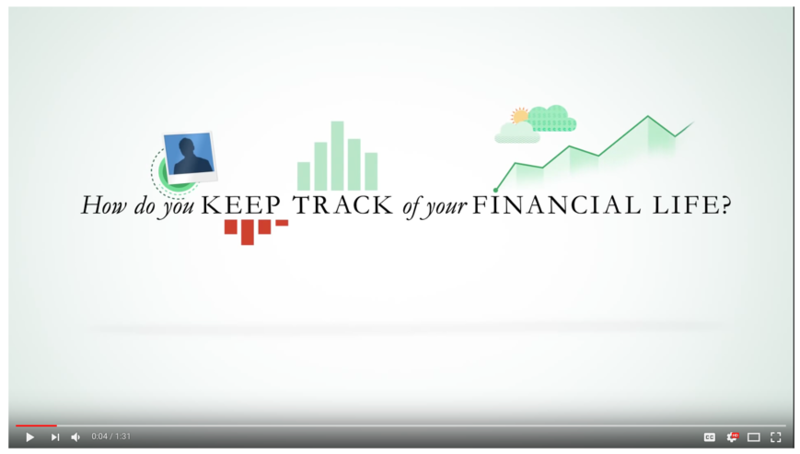 If you would like to see an example of how top brands like Mint are currently using explainer videos to showcase and explain their business to new audiences, simply check out the short video below. While watching the video, be sure to think about how something like this could be used for your brand. Something else you will need to spend some time on before creating a video for your site, is the actual script process. There are many of reasons why you will need to spend some extra time on this, one of the most important being that it’s the foundation for your video and production process. First, you will want to start with a brief and just writing some notes down about what you would like covered within your video. This will be done so you can get all the wording right and make sure your audience has a good understanding of what you’re trying to say. You also need to think about if you will be recording the audio yourself, or outsourcing it to a professional. While this isn’t a requirement, it’s best to have audio to go along with your video, as it’s more engaging to your audience. Having a script in place will also allow you to get an idea of how long your video might be — most are 30 to 60 seconds. 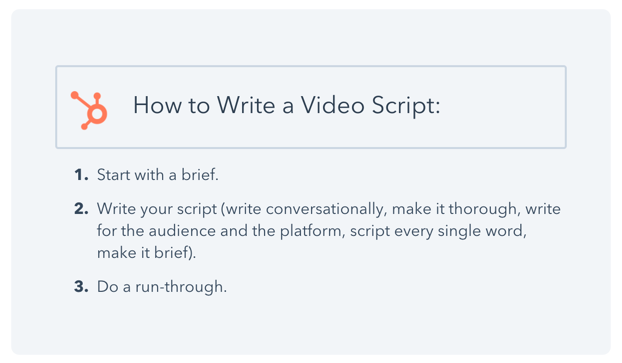 You can also follow along in each of the three video scripts below, provided by Hubspot. When is the last time you went to a website and they had a video player right on their main page? Do you remember if it was a talking head, an explainer video, or maybe it was a whiteboard video? With so many options out there, you will also need to think about which one is best for your site. The help with this process, it’s a good idea to take a look at your competition and see what video they might be using to explain their business or service. If your time and budget permits, you can actually split us the process and create a unique video from each format. 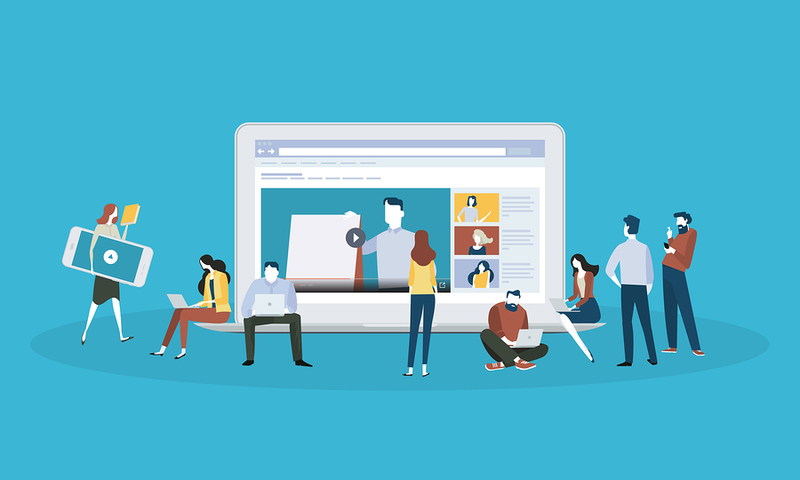 Even though most businesses and brands are now using video to promote their companies, the truth is, many of them don’t have their own video design team or even know how to get started with an explainer video of their own. For times like these, it’s simply a matter of deciding whether or not you are going to outsource the process or try and figure out how to create one of your own. 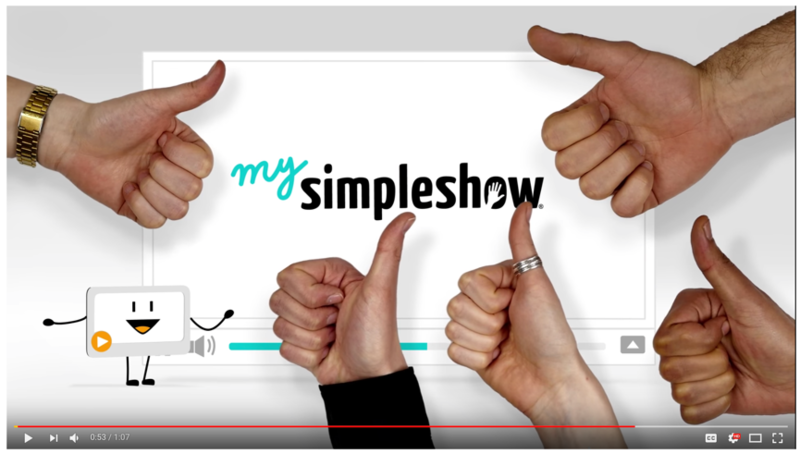 More often than not, the better scenario is to outsource your video and audio production or to find a simple drag-and-drop solution like mysimpleshow, which can create whiteboard and explainer videos for you on demand. They even have options in place for converting text to audio, or to upload professional audio files of your own. The main difference between going with a drag and drop software solution versus an individual graphic and video designer, is usually several hundred (or even thousands) of dollars in costs. Once your video is created and live on your site, your work is still only half done. 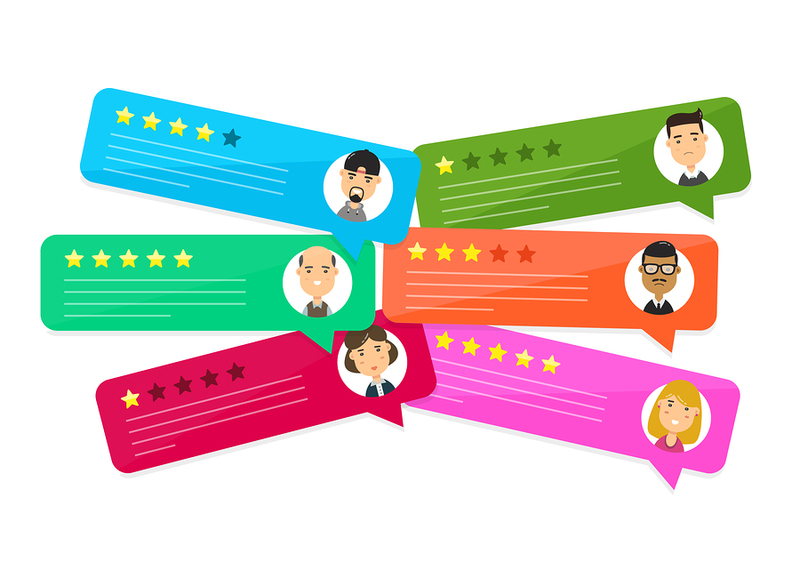 It’s important to get feedback from your audience and to make sure your new video is actually benefiting your business and increasing sales and engagement on your site. A great way to get user feedback from your audience is to share your new video on social media and simply ask your audience what they think. This genuine feedback will also help with the production of new videos you might want to come out with, while also given you valuable opinions and feedback on how to improve any existing video you might already have in place. 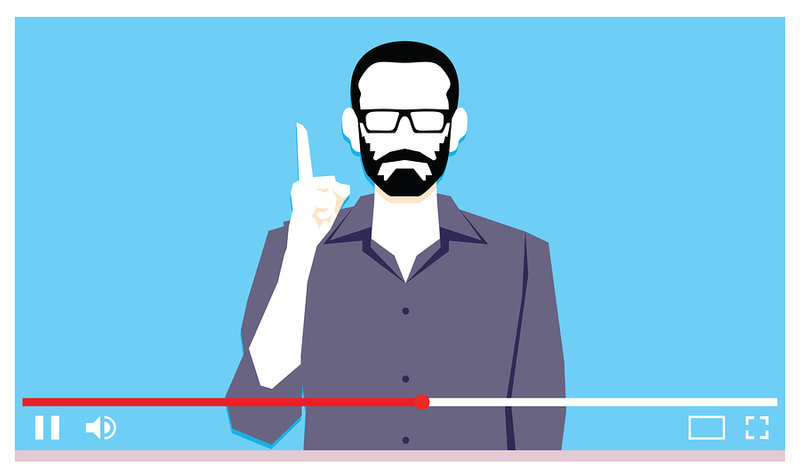 Your Website Needs an Explainer Video Right Now! With more people accessing the internet from mobile devices and tablets than ever before, it’s now more about instant gratification than anything else. This clearly means online video is what people want, and not only what’s in demand, but what will also deliver the best results as well. People no longer want to visit a website and need to read a bunch of text to find what they are looking for. They would much prefer to watch a short video and learn more about your company through a visual and audio way. If you aren’t currently using online video to explain what your business does, while also increasing sales and engagement on your site, you are already falling behind the curve. As mentioned earlier, your competition is likely already using online video to better describe and grow their business. Take some time to see what’s working for them, then start thinking about how you can create a quite script and get your own explainer or animated video rolling in the right direction. You won’t be sorry!